This message on a yellow piece of paper posted on the bulletin board of the IGA grocery store in Reading, Ohio, was the coolest thing that I had seen all day—a stranger taking the time to search for a stranger who had helped her after an accident. I realize that this person might search and search and never find the woman who had helped her, but the fact that she had reached out and tried to connect was heartwarming. People often worry about talking to strangers, but the vast majority of people are safe to talk to. And if they’re not, we can probably tell right away. Yasmin Anwar of UC Berkeley writes that it takes most people only “20 seconds to detect whether a stranger is genetically inclined to be trustworthy, kind or compassionate.” View her article here. And, while it’s good to teach our children not to talk to strangers, it’s also good to teach them about situations when it’s okay. The strangers they should worry about are the ones who come up to talk to them, probably not the ones that they approach. And controlled settings—for example, their schools or a grocery store with a parent—are almost always safe. Interactions with people they don’t know, even simple ones like going up to ask a librarian a question about a book, teach children how to socially connect and build self-confidence, as well as giving them, over time, richer, fuller lives. This is true of friends, teachers, doctors, coaches, bosses, coworkers, and even our relatives. 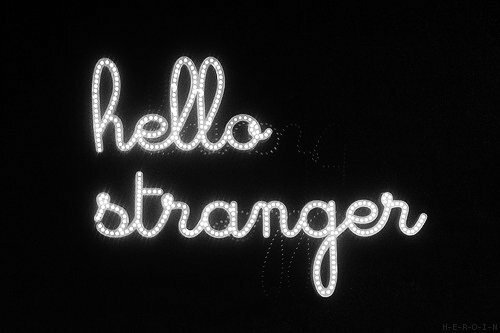 Think of all the good in your life that has come from meeting strangers. If we think about it, many great conversations and much good luck has come to us because we were willing to take the risk and talk to a person we didn’t know. In fact, research shows that luck often comes through talking to strangers. Many people believe that some people are lucky and some are not, when the truth is that we often create our own luck through social interaction. The Greater Good Science Center at UC Berkeley believes this so strongly that they include a video as a part of their mission “to give parents tips for making happy kids and being happy themselves.” What fascinated me was learning that luck is actually a “teachable skill set” that can be set in motion when we talk to strangers. Check out Christine Carter, Ph.D. and Lindsay Reed Maimes video discussing “how we can teach our kids to make their own luck” here. SO HAPPY SAUNTERING DAY! HAVE FUN TALKING TO STRANGERS! Please send me your comments. 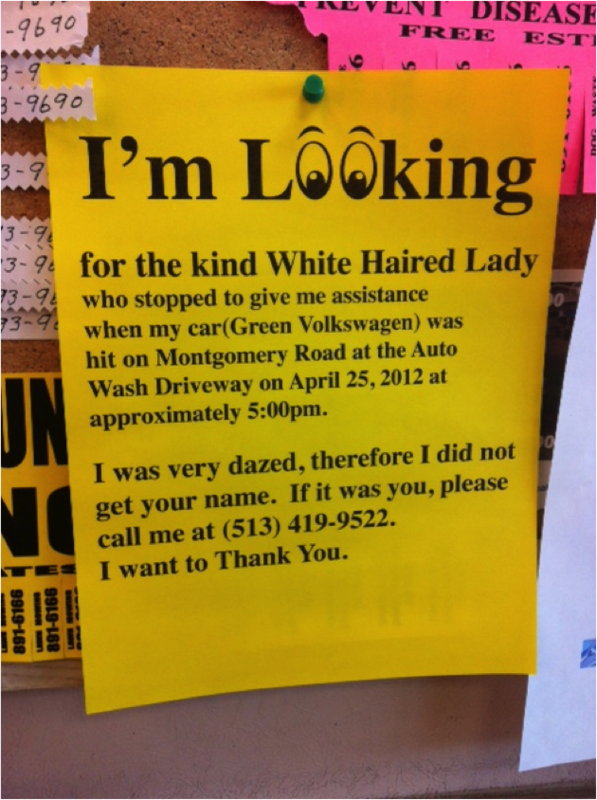 I would love to know your stories on how you got a lucky break from talking to a stranger.